1) Our club is open to ANYONE in the Wandsworth area and surrounding boroughs, who is living with a mental health problem and aged between 18 and 35. Our group is friendly and inclusive and encourages new members. 3) You can EASILY self refer – we just need you to work with your GP to fill out some forms. Alternatively if you are under a Community Mental Health Team they can work with us to refer you quickly. Click below to see our latest timetable. Apologies for the LONNNNG delay in updating this website – we have all been incredibly busy – but the SW18 club is still going strong! 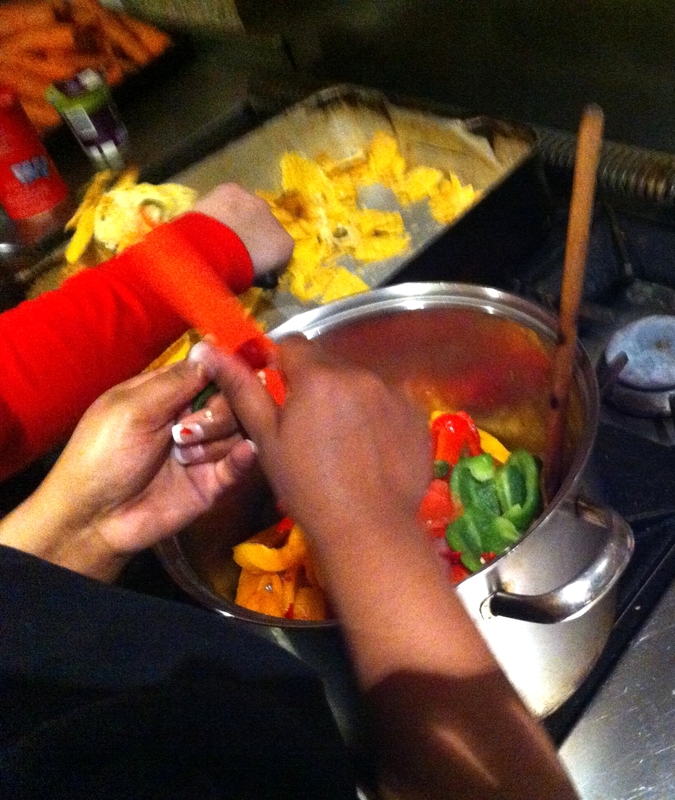 The session before this was a cookery night at the centre where we prepared a lovely Thai curry from scratch. 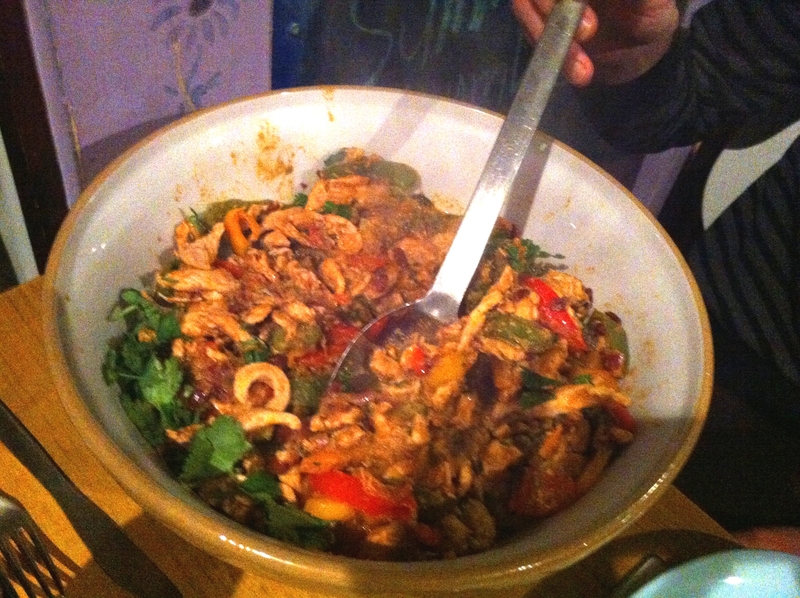 Apart from the standard chilli in the eye saga, the food was absolutely delicious and I think everyone thought it was a success. Before this was a Jack the Ripper themed walking tour – with a great tour guide called Dicky who was a beef-eater by day in the Tower of London, and spooky guide by night. 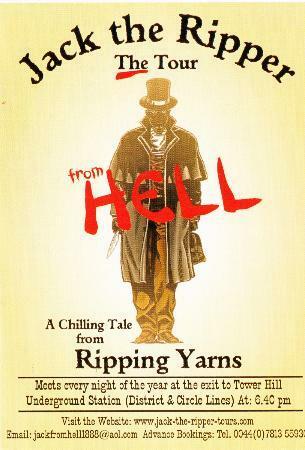 His Thespian tones drew us all into the story and before we knew it 3 hours had passed wandering the dark back streets of London, learning about the grizzly murders. Our next few sessions look packed – from music therapy and museum visits to ice skating and more cookery. Please do get in touch if you are interested in joining our rapidly growing group! Just email hannahwandsworthmind@gmail.com for more information. Quick – it isn’t raining – picnic! When a world first occurred and the bank holiday didn’t mean 3 days of solid rain, we jumped at the chance to get outside and picnic. We met with food and drinks and found a sunny spot on the common to eat and drink. Some of our works of art! One of us is currently involved with the refurbishment of the Wandsworth Mind resource centre, and is organising for some art works to be created for the new-look space. As we paused between mouthfuls, we were given charcoal and sketch pads and asked to draw whatever we felt like drawing, to start getting inspiration for our art work. 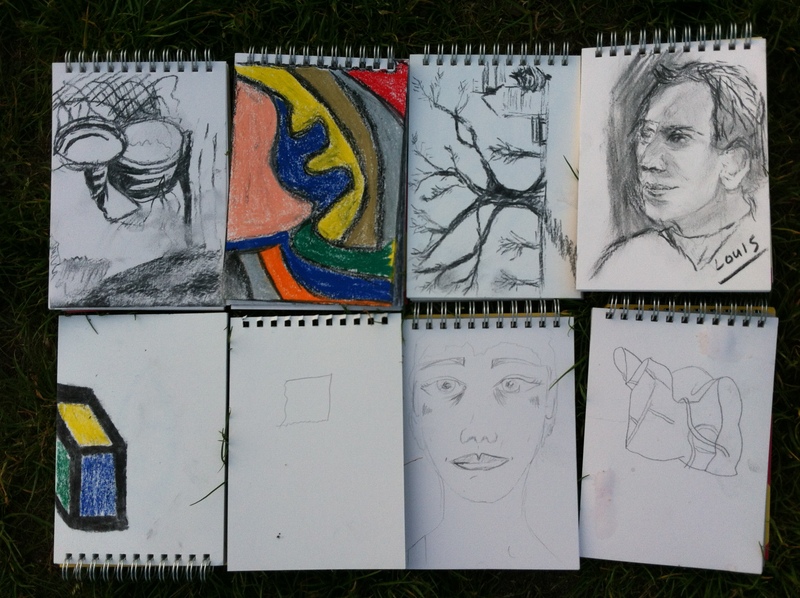 You can see the results below – quite a range of artistic styles! The highlight of the evening was probably when the British Military Fitness group had to do sprints across the common and go around us, as we ate our lovely homemade cupcakes and our crisps – they looked a bit jealous of us basking in the evening sun! The group really enjoyed spending time on the common so we have arranged for a football skills session to accompany our next picnic. A small crisis with a fire alarm and a lot of smoke (unlike the proverb, there was smoke without fire on this occasion..!) didn’t put us off. 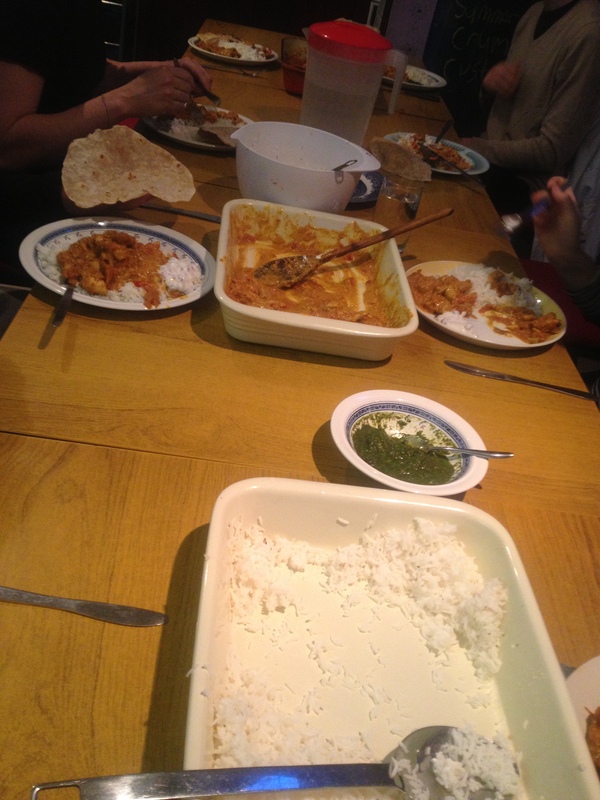 With two types of chicken curry, homemade roti, pomegranate raita and rice it was really fantastic food. We finished the meal off with some delicious mango eton mess to combine the English and Indian cultures. After this group, we decided that it would be good to get some certification behind our cookery skills and as such are organising to complete food hygiene courses over the next few months as a useful addition to the CV. An expert in self-defense and martial arts has spent two sessions with our group over the last two months, teaching us some of the basics in each of these disciplines. Both of our sessions started with an intensive warm up which was necessary after coming in from the freezing cold. There were lots of knees clicking and shoulders grinding as we limbered up! After this, we learned and honed a variety of stances, punches and kicks (all in the air, rather than making contact, obviously!). It was at this point that we all wished we had a bigger space – as people’s legs and arms tended to come precariously close to the person in front – I am sure that you can imagine how the roundhouse kicks went! 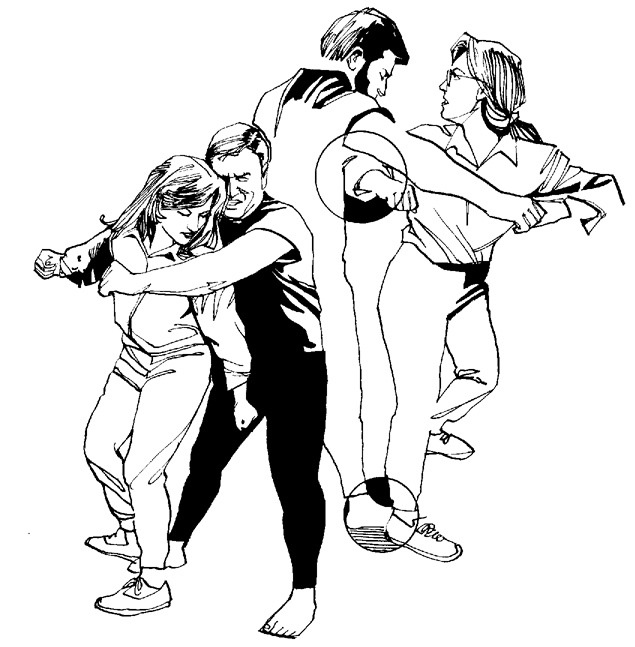 From this, we started to discuss self-defense – when to use it and why it was needed, and then were shown four or five different moves to disable and defend against an attacker. These proved really useful although quite difficult to master at first. As it was pointed out, though, it doesn’t matter if we aren’t perfect on them, just as long as we could use the principles of them if we needed to. Everyone in the group enjoyed both sessions and we learned a lot. We will be linking members who want to continue their interest in this into other self-defense and martial art s classes in the area. I think I speak for everyone when I say that I was quite surprised to wake up the next day with very sore arms from the air punches that we were throwing – so it seems it was good exercise too! fresh guacamole and salsa, and others again grating VERY generous amounts of cheese for the nachos. people having returned independently to the stand up comedy night that we had attended last month. 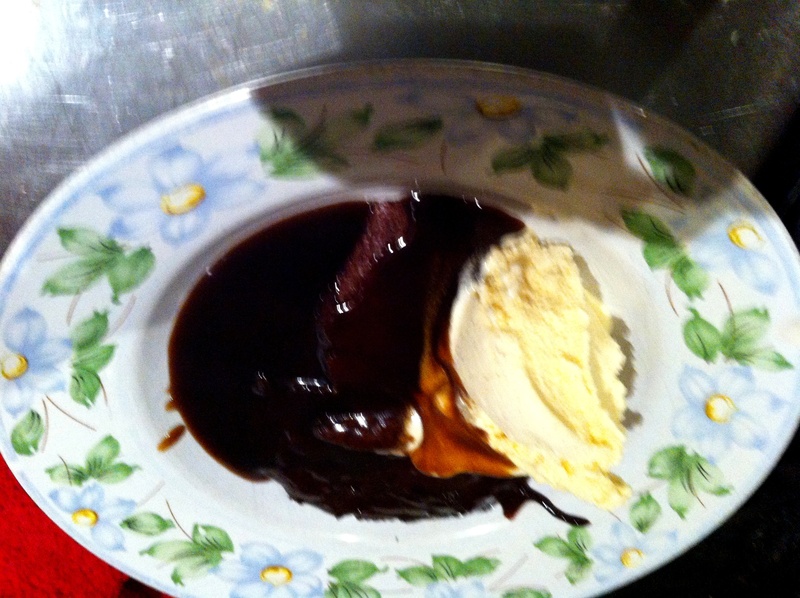 After the main course, we tucked in to a mouth-wateringly gooey, chocolatey brownie fresh from the oven. Served with hot salted caramel sauce and ice cream it filled our stomachs to similar levels of the sticky toffee pudding from before Christmas, but everyone cleaned their plates. There was a scurry to clean up as our time in the resource centre was quite short, but everyone agreed that we had had a great night. People who weren’t cooks at home had tried something new, and the activity bonded new group members with those who had been attending for some months. 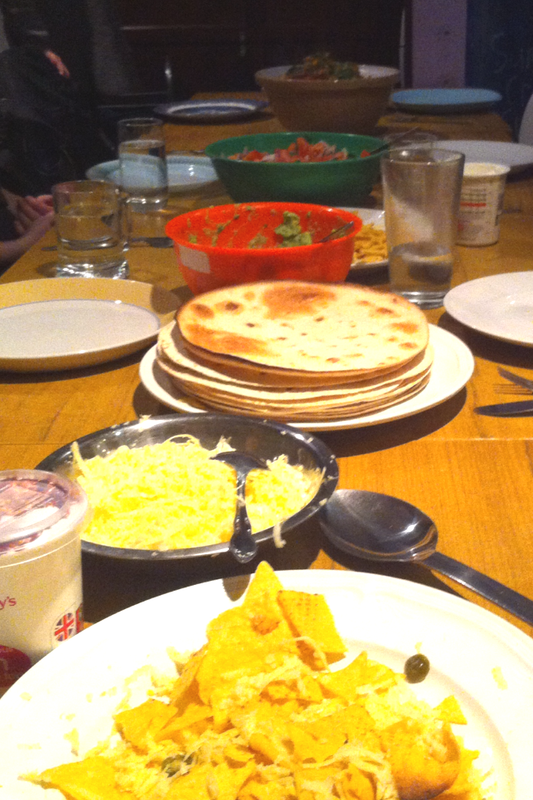 Its safe to say we will be having another cookery event soon (and some sporty activities surrounding it to compensate..!) 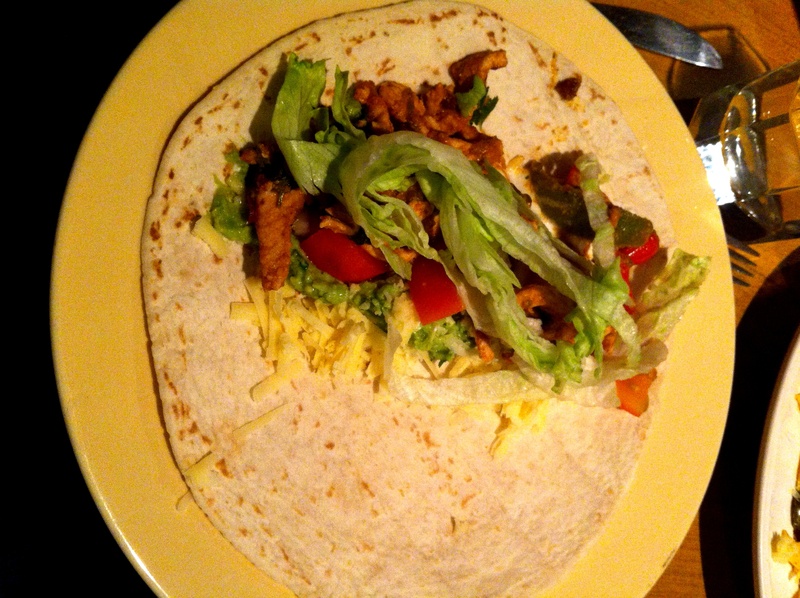 There are a lot of photos of the food in this post, we are essentially just gloating at how yummy it was. 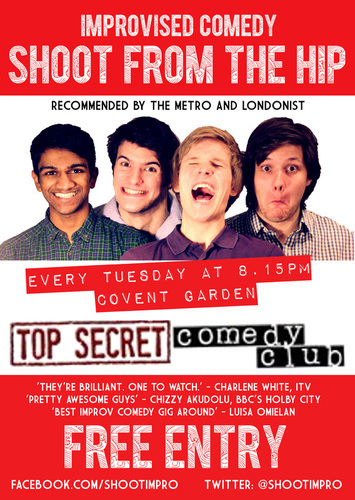 Last Tuesday – on the 5th February – a group of us went into the centre of London and attended The Top Secret Comedy Club’s free comedy night, featuring the improvised comedy group ‘Shoot from the hip’. Volunteers accompanied people to the group so that they did not have to make the tube journey alone if they did not want to. We were sitting a couple of rows back, right in front of the act, so were a bit nervous about either getting picked out or having to laugh at every joke they they made! However we didn’t need to feel this way – the comedians relied on shouted out ideas from all members of the audience, not just those in front of them, and were hilarious throughout so our laughter was genuine! All of us had favourite parts of the show – I liked the sketch where the comedians had to create a song spontaneously about a situation given to them by the audience, and one of the other attendees particularly enjoyed ‘the three headed monster’ – where three comedians stood together and had to speak as one in answer to questions from the audience. One thing that all of us had in common, however, was how funny we found the whole thing! Group members commented that it helped them to forget about other things in their lives, and also that they hadn’t laughed that much in ages! 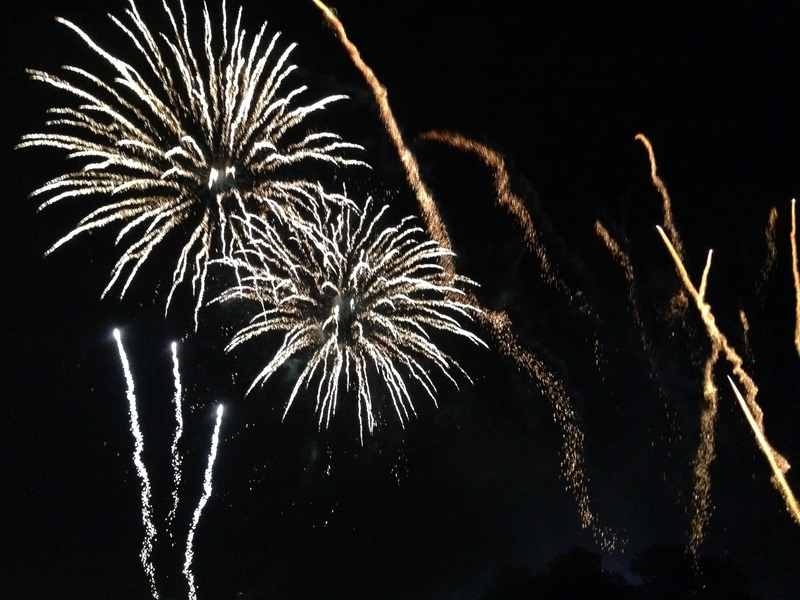 We would all fully recommend the venue, and the act to others – I know that we are planning to return again as a group in the future, as well as attending independently on other evenings. Our advice – go and see them now before they start charging you for the privilege! Next week’s session is self- defense with Lucy – who will be teaching techniques as well as talking about personal safety. Hopefully we will still have some laughs in this session, although maybe not quite as many as at the comedy..!